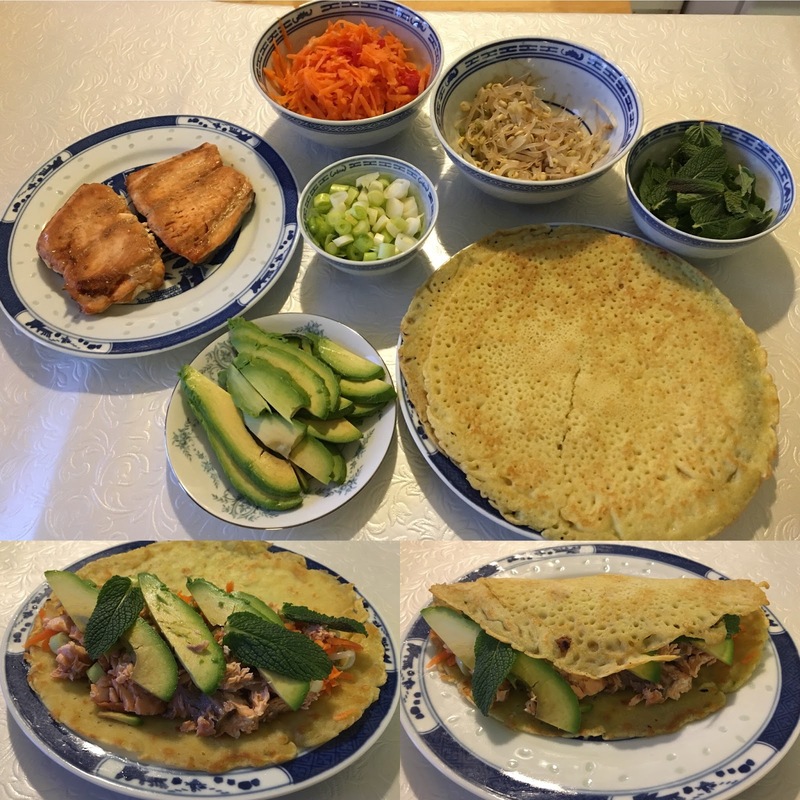 Rice pancake: whisk 2 1/4 dl rice flour, 2 teaspoons corn starch, 1 teaspoon curry, 1/2 teaspoon salt, 2 tbs chopped ginger, 1 egg and 2 1/4 dl water in a bowl. Pour 2 tablespoons of Japanese soy in a greased oven pan. 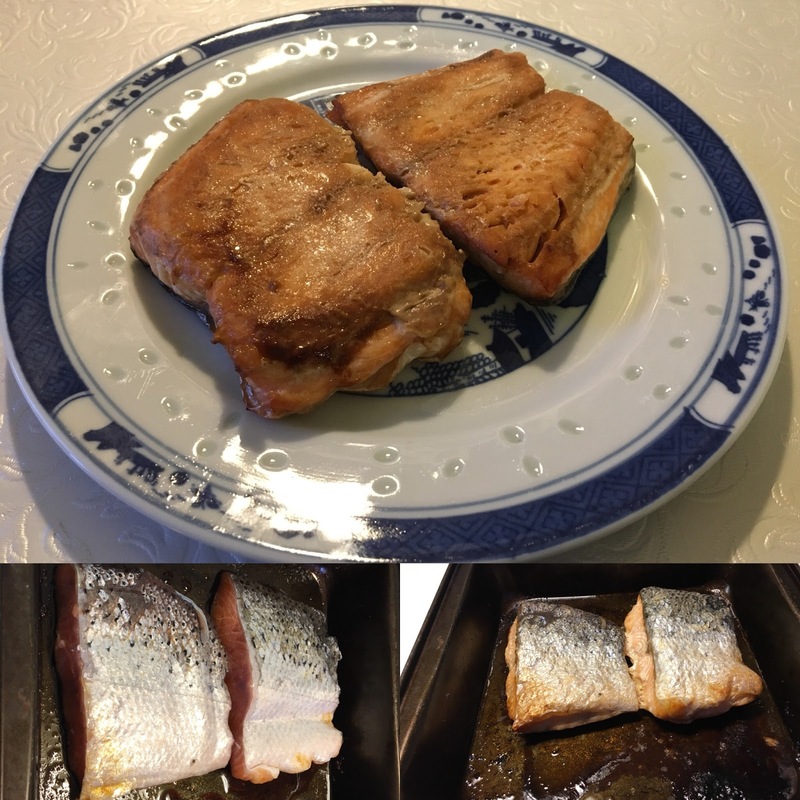 Add 300 g of salmon fillet with the skin side up in the pan of soy. Bake in the middle of the oven 15 - 17 min. 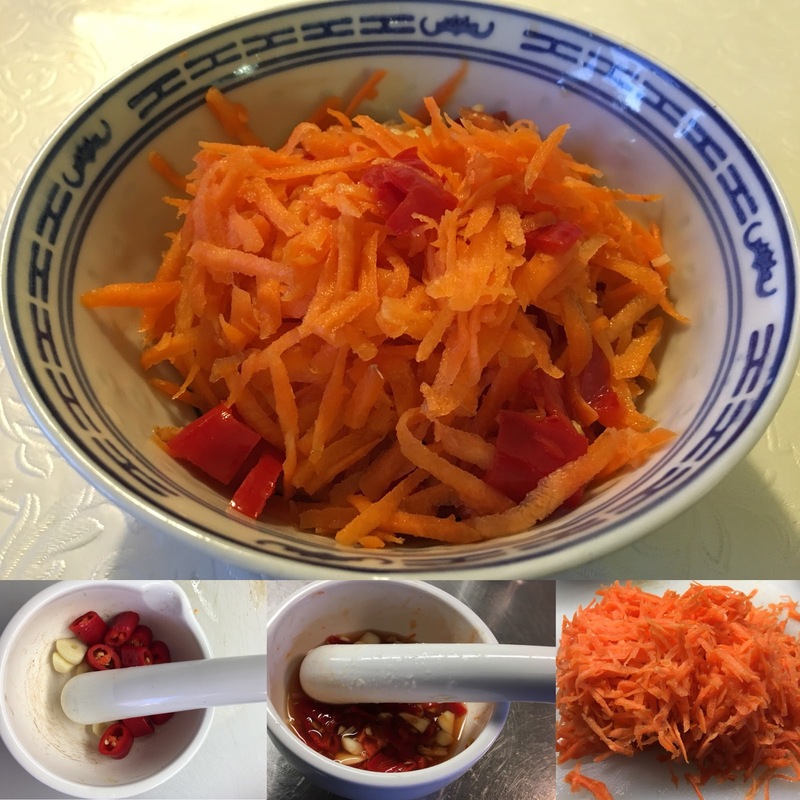 Dressing: Dice together 1 garlic slice, 1 red chilli and 1 tablespoon sugar. Mix 2 1/2 tablespoons white wine vinegar, 1 teaspoon of Japanese soy, finely ground and add juice from 1 lime. Peel and coarse 250 g carrots. Put in a bowl and mix with half the dressing (the rest is used as sauce for serving). 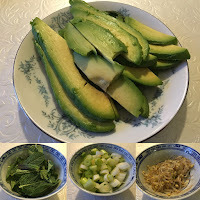 Slice 1/2 avocado, slice 2 spring onions and pick the leaves from fresh mint, about a handful. Rinse a handful beansprouts. Sprinkle some olive oil into a frying pan. Put in about 3/4 dl pancakemix, fry about ½ min per side. 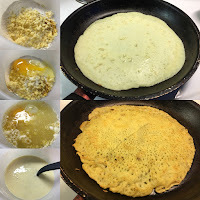 Put on a plate and do the same with the rest of the batter, a total of about 4 rice pancakes. Fill the rice pancakes with salmon, avocado, spring onion, bean sprout, carrot sallad and mint. Turn over the other half of the pancake to a lid. It is really good to wrap in salad leaves and dip in the dipsauce as well.